WELLINGTON, Florida, Mar. 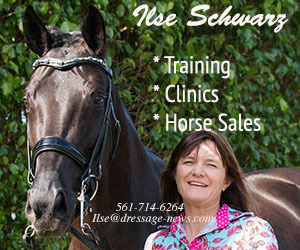 15, 2018–Brittany Fraser, the top ranked Canadian rider, posted a personal best score for the first CDI Grand Prix victory in winning the Adequan Global Dressage Festival CDI4* Grand Prix Thursday and move closer to clinching a start for her country at the World Equestrian Games in Tryon, North Carolina in September. Brittany, who said the 13-year-old KWPN gelding she has developed through the levels from the age of five, is “like my child,” scored 71.957 per cent that surpassed their previous best of 71.217 per cent at these same show grounds two months ago. 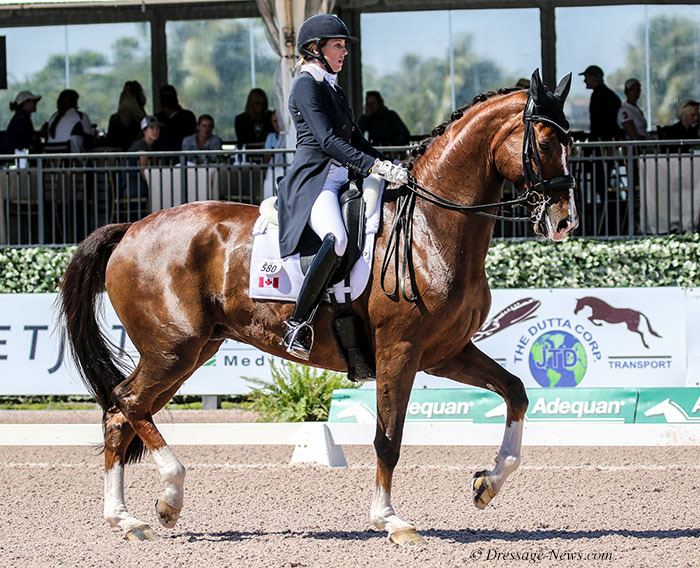 Shelly Francis of Loxahatchee, Florida on Danilo, the horse she plans to take to the World Cup Final in Paris next month, was second on 71.848 per cent. 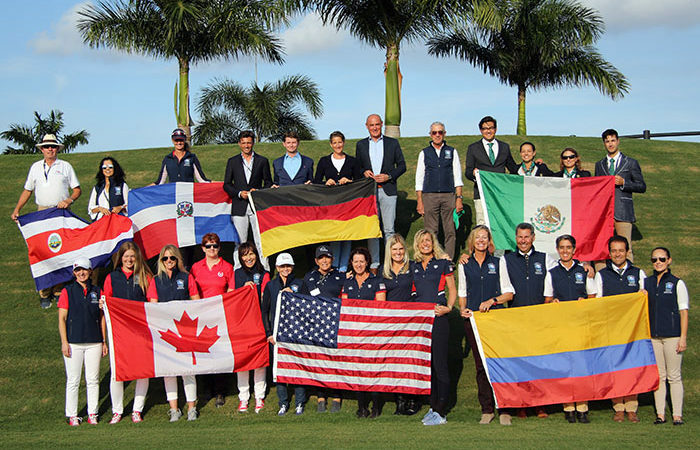 Ashley Holzer of New York, the four-time Olympian for Canada but who now rides for the United States, placed third on Havanna on a score of 70.783 per cent. Ashley coaches Brittany and All In as she does two other combinations in the class of 11 horses and riders. All In is in his third year at Big Tour since moving up after the 2015 Pan American Games in Toronto when the pair were on the silver medal team at small tour. Last year, the duo competed in Europe and she is undecided about her plans for this summer as she and her husband bought a house in Montreal last September. If Ashley is selected for the American squad to go to Europe, she does not know that she will be able to enter the same shows. However, she was enjoying the Thursday’s success, the first Big Tour victory in Wellington that is a major international winter circuit. “It was awesome,” said the 29-year-old rider who is also having a winning season with Soccer City, a small tour horse she began competing a month ago. Brittany and All In are ranked 56th in the world, the highest for a Canadian partnership.